Have you heard about rooting smartphone? Or maybe this is the first time you hear about “rooting” smartphone? Well, what is it? Root is the highest access in the android system. Once you root your phone, you can get access to root so that you can delete bloatware, prevent auto start to your software, clean the system of phone so that it can store more energy and increase the speed of your phone. If this is your first time in rooting your phone, you probably do not know how to do, what to use and what the bad effect of doing root in your phone. To get to know about this, continue reading this article. To root your phone, you can use Kingroot app. Why do we have to use this app? This app is simple to use and it is the most popular root app in the market. It has a good review from users so that you can use it as well. This app can be used in a wide variety of smartphone brands including Motorola Moto E smartphone with the XT1528 model number. Do you use this phone as well? If so and you need to root your phone, then you read the right article. So, how to root your XT1528? Well, before you begin to root your phone, you have to note several things below. First, you have to make sure that your phone at least has 40% battery charge so it does not turn off during the process of rooting. Second, Kingroot is available to use directly from your device. So, you do not need to prepare the drivers. Third, you have to backup your device data before you begin the root process. If you have prepared several things above, now, you are ready to root your phone. Follow these instructions to root your phone. The very first thing that you have to do is to download the Kingroot APK. You are able to install the APK directly from your web browser app on the Moto E or by putting it on your SD card. Then, you have to enable the Unknown sources on your Motorola Moto E smartphone. You can do that by tapping the Menu > Settings > Security > Device Administration > Unknown Sources. If the app has been installed, now you are able to tap on the Kingroot app icon which is now on your device where you can discover your new app appearing. After that, you have to tap on the button on the main page of the app which says there is a root status error to fix. Then, the rooting will start and the progress bar will show on the display. During the process, you need to wait until the progress bar reaches 100% and you will get the “success!” message on the display. 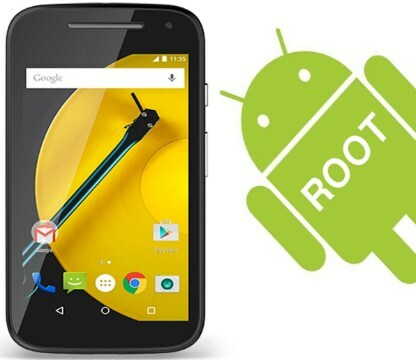 Now, close the Kingroot app and reboot your Motorola Moto E.
Okay, that is the ways to root your Motorola Moto E. It is very easy and everyone can follow the steps easily as well.